Jerusalem—As the U.N. votes on Palestinian statehood, and former regional allies of the Jewish state like Turkey and Egypt turn openly hostile, much of the international community is blaming Israel for its own isolation. If only Israel had apologized to Turkey for killing nine of its nationals on last year’s Gaza flotilla, so the argument goes, Prime Minister Recep Tayyip Erodgan would not be threatening now to send warships against the Israeli coast. If only Israel had apologized to Egypt for the accidental killing of six of their soldiers when Israeli helicopters entered Egyptian territory in pursuit of terrorists last August, an Egyptian mob wouldn’t have ransacked the Israeli embassy in Cairo, as Egyptian leaders refused to take calls from desperate Israeli leaders. And if only Israel had stopped building in settlements and offered the Palestinians a fair solution, they would not now be turning to the U.N. to substitute an imposed solution for the negotiating process. This convergence of blame comes at a time of spiritual vulnerability for Jews. This is, after all, our season of contrition. As we approach Rosh Hashanah, the process of self-examination intensifies. And as Jewish tradition emphasizes, the basis for penitence is apology. Before seeking forgiveness from God, we are to seek forgiveness from those we have hurt, even inadvertently. But in the present atmosphere Jews should resist the temptation for self-blame. Apology is intended to heal. Yet those demanding apologies of Israel aren’t seeking reconciliation, but the opposite—to criminalize the Jewish state and rescind its right to defend itself. If any apologies are forthcoming, they must be on the basis of facts. Erdogan began dismantling the Israeli-Turkish alliance well before the flotilla incident, which he then seized as a pretext to sever ties with Israel: his goal is not to restore Israeli-Turkish relations but to bolster his image in the Muslim world as the leader who humiliated Israel. Still, in the spirit of this season of penitence, Israel could offer Erdogan the following solution: We apologize for the loss of life, and you apologize for encouraging Turkish jihadists to violate Israel’s legal and moral siege against the terrorist regime in Gaza. So too with Egypt: Israel will apologize for the accidental killing of Egyptian soldiers—even though it’s not clear whether they were killed by Israeli fire or by a Palestinian suicide bomber—while Egypt apologizes for the atmosphere of government-instigated hatred against Israel, like the recent cover of one of Egypt’s leading magazines, October, which portrayed Netanyahu as Hitler. The Palestinian issue, of course, is far more complicated. Israel, the Arab world and Palestinian leaders themselves all share blame for the Palestinian tragedy. Under the right circumstances—in an atmosphere of mutual penitence—Israel would apologize for its role in the displacement and occupation of the Palestinians. And the Palestinians would apologize for their role in encouraging the Arab world’s rejection of the Jewish people’s return home and encouraging too the renewal of anti-semtism on a global scale. And then each side would forgive the other for having been so caught in its own trauma that it failed to recognize the trauma of the other. But Israel is not to blame for the absence of peace. I want to see my government declare an open-ended settlement freeze, convey the message to the Palestinians and to the Arab world that it has no interest in maintaining the occupation aside from security needs, that the Jewish people didn’t return home to deny another people its sense of home. But a settlement freeze, however essential for our own integrity, will not bring the Palestinians back to the negotiating table. Netanyahu’s ten-month settlement freeze was unprecedented—that was the word used by Secretary of State Hillary Clinton. Yet the Palestinian Authority continued to boycott talks. Would Netanyahu offer the Palestinians a state along the equivalent of the 1967 lines? In exchange for Palestinian acceptance of a Jewish state and abandonment of the demand for refugee return to Israel: My sense is yes. I wish he would explicitly say so, even if that meant risking his coalition. But in truth the question of what Netanyahu would concede is irrelevant. The Palestinians were offered the equivalent of the 1967 borders by former Israeli prime ministers Ehud Barak and Ehud Olmert. Yet Palestinian leaders rejected the offers because they refused to concede the “sacred” right of return, as P.A. head Mahmoud Abbas calls it—that is, the sacred right to destroy the Jewish state through demographic subversion. 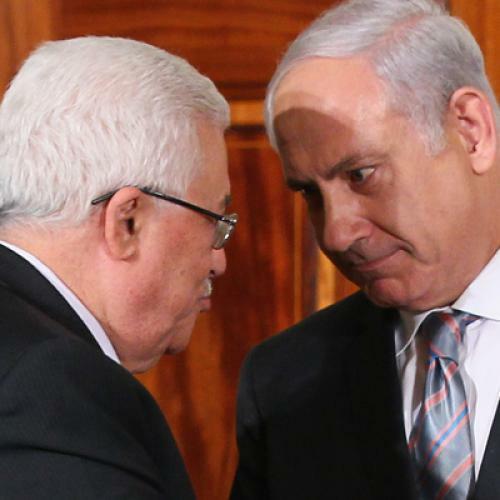 The Netanyahu government isn’t the cause of the breakdown of the peace process but its result. The temptation for Jewish self-recrimination is deeply rooted in Zionist psychology. Zionism, after all, was a revolt against Jewish fatalism. If the Jewish situation is untenable, then clearly the fault lies with a lack of Jewish initiative. If you will it, said Zionist founder Theodore Herzl, it is no dream. Israeli rightists and leftists agree, in effect, that Israel can unilaterally determine its own reality, regardless of outside circumstances. If Israel lacks security, insists the right, that’s because we haven’t projected enough power and deterrence. And if Israel lacks peace, insists the left, that’s because we haven’t been sufficiently forthcoming in offering concessions. Both right and left, then, implicitly dismiss the Arabs as an independent factor, with their own wills and agendas. But what if the Arab world doesn’t accept Israel’s legitimacy? What if the Middle East is undergoing transformations that have little if anything to do with what Israel wills? This Rosh Hashanah I will ask forgiveness for my own sins and for the collective sins of Israel, as the liturgy insists. But I will withhold my political apologies for a time when those confessions won’t be manipulated against me. There is no religious obligation to collaborate in my own demonization. I will not be seeking forgiveness from those who deny my right to be.